Holiday Inn Express Hotel And Suites Vancouver N.
Our 160 spacious guest rooms, including two suites, feature all the amenities you'd expect of a first-class hotel including free Net4Guests high-speed wireless Internet access, telephone dataports and in-room coffee, room service and laundry and valet service. Refrigerators and microwaves are available. Enjoy our seasonal outdoor pool, take a scenic walk or jog on the 3K trail right outside our door. Guestroom renovations were completed in June 2006. Overlooking the beautiful Columbia River, the Red Lion Hotel Vancouver at the Quay is just west of I-5, 15 minutes from Portland International Airport and close to historic Fort Vancouver, shopping and the city center. Washington State University-Vancouver is just four miles away with Clark College also close by. Our Pacific Grill and Chowder House and the Quay Bar offer exceptional views of the breathtaking Columbia River while offering the finest in regional dining favorites. With 14,785 square feet of meeting and banquet space, we are also a full-service convention hotel able to accommodate up to 900 guests for your next conference or special occasion.Just minutes away from the offerings of Portland, Oregon, the hotel offers easy access to many shopping venues, the Portland Zoo, the Oregon Museum of Science and Industry and Portland International Raceway. There are also many excellent golf courses in the area. 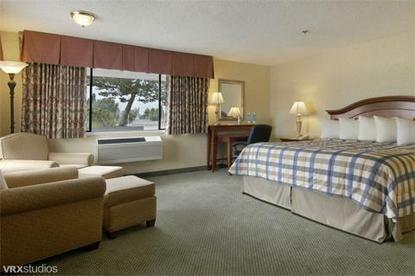 For business or pleasure, the Vancouver Red Lion Hotel is committed to care, comfort and value.